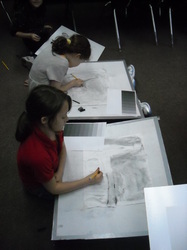 Students will use charcoal to create a unique still-life drawing of various objects. 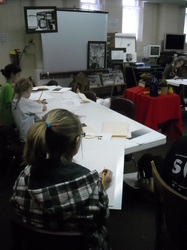 The class shared the responsibility of setting up and taking down the still life at the beginning and end of each class. 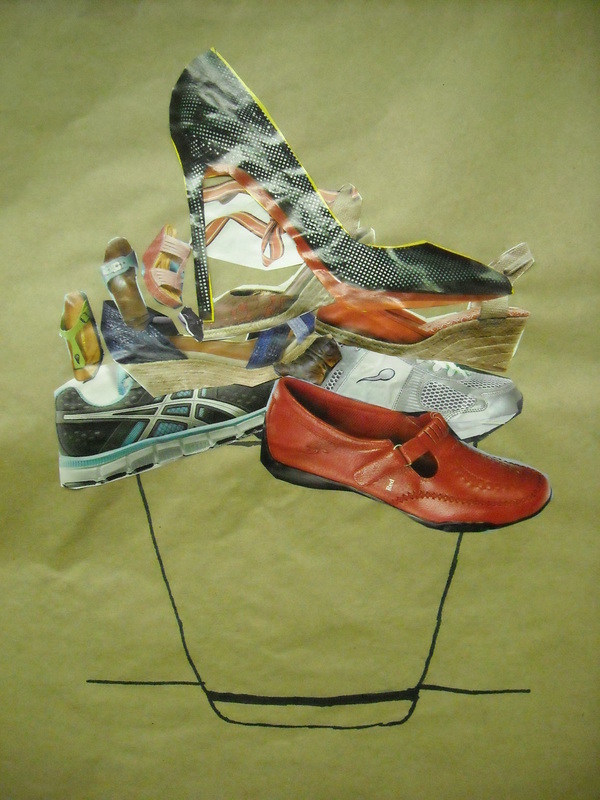 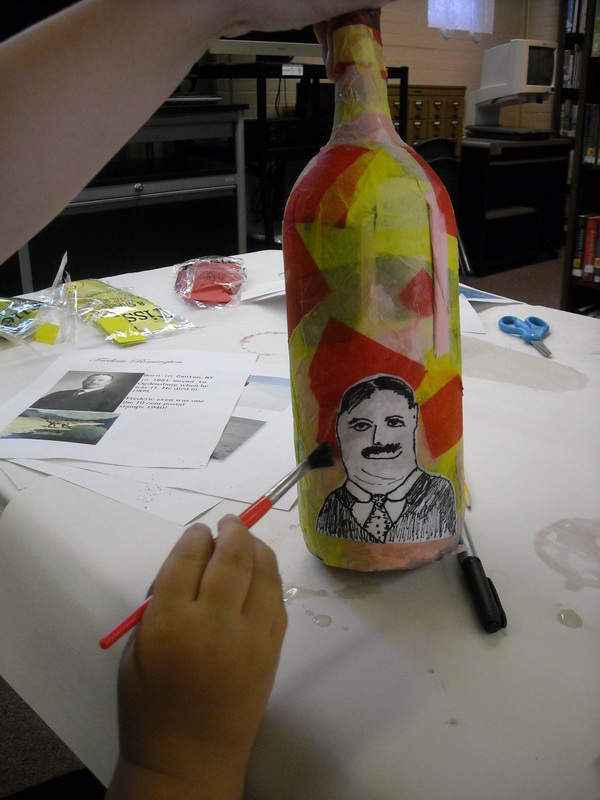 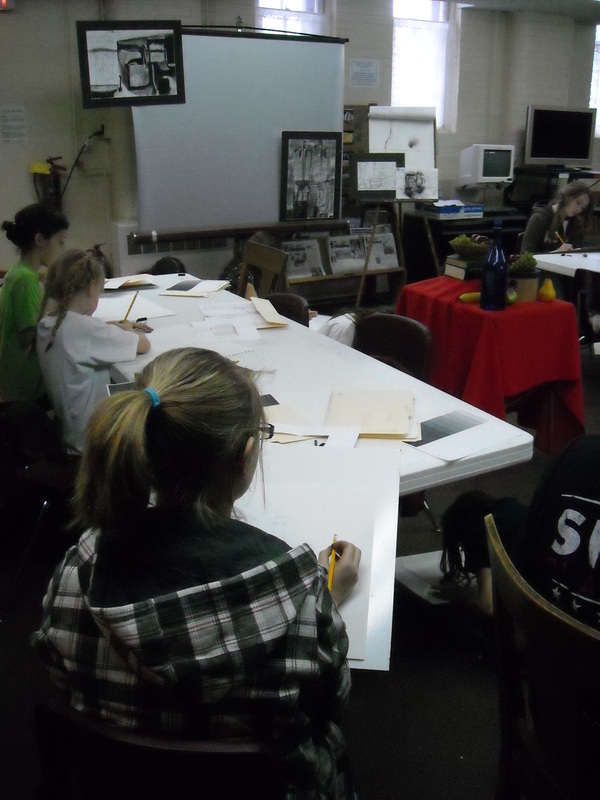 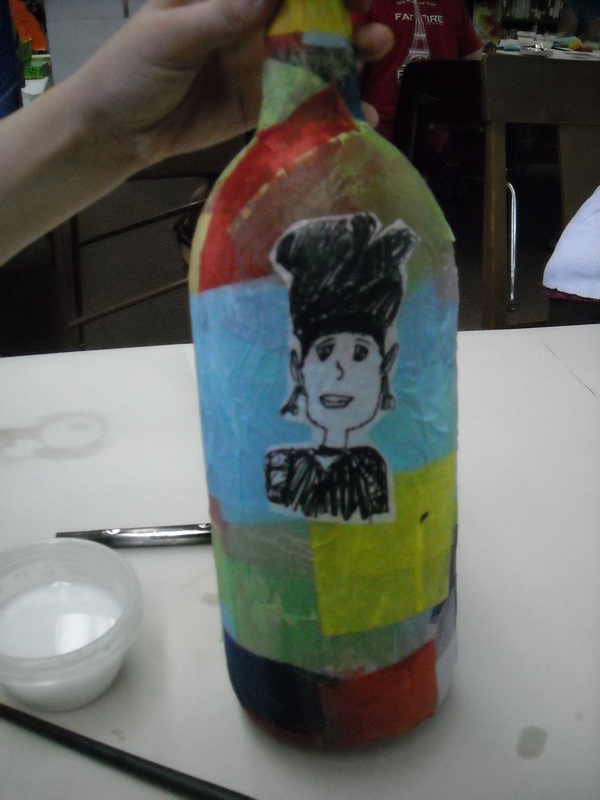 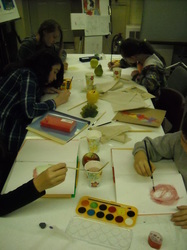 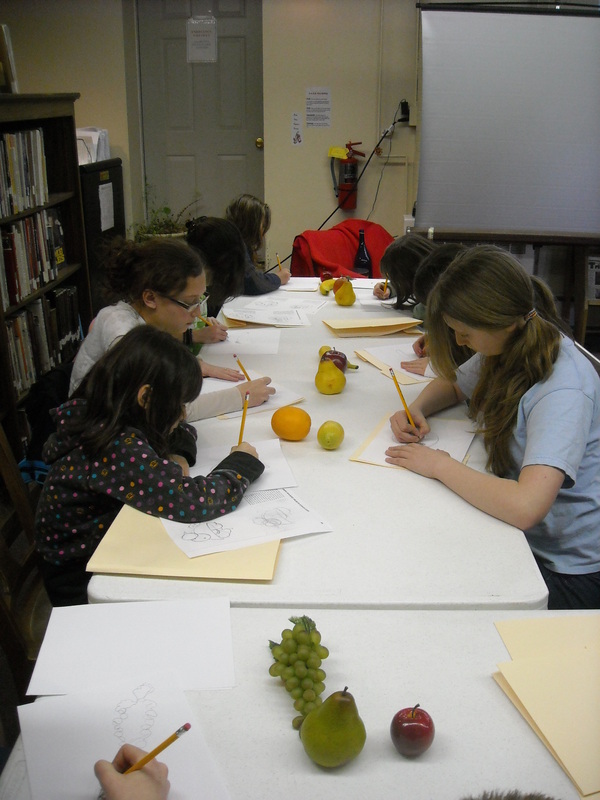 Students were introduced to the concept of still life as related objects and the concept of parallel line shading. 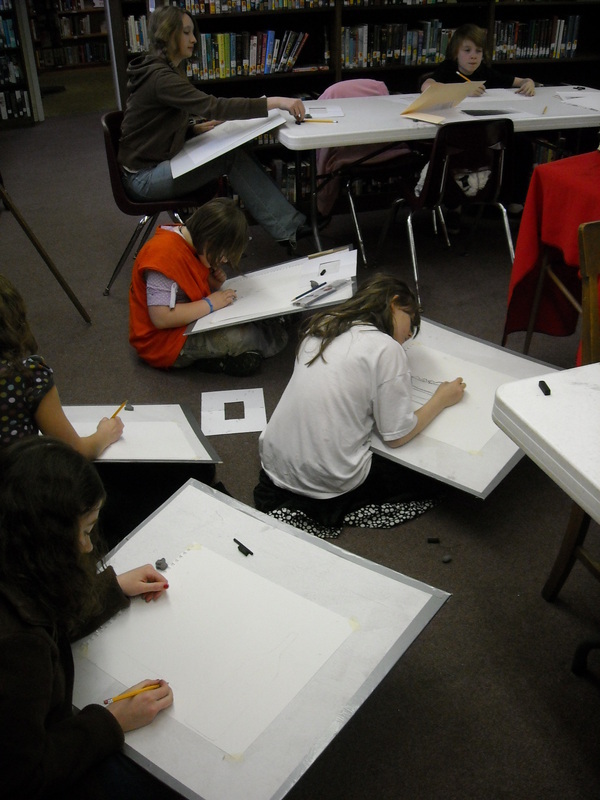 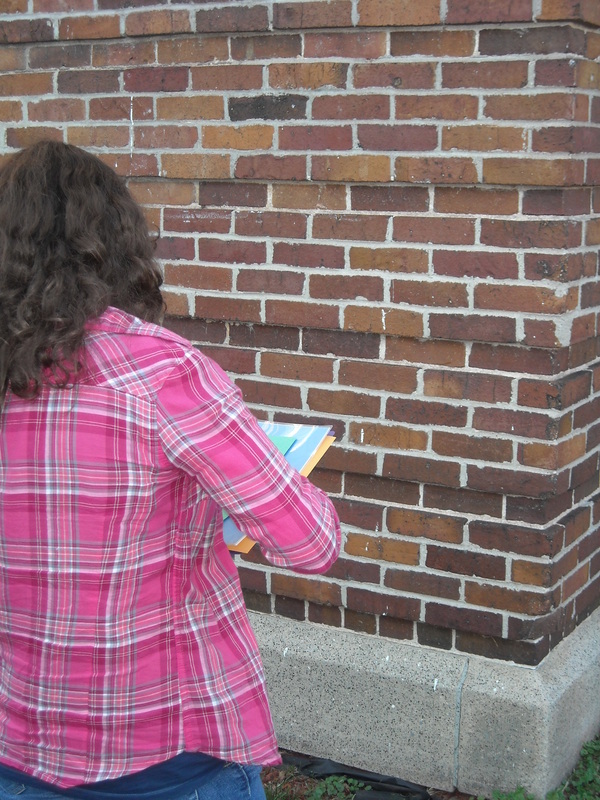 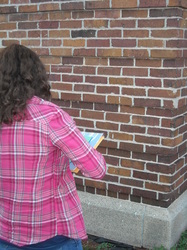 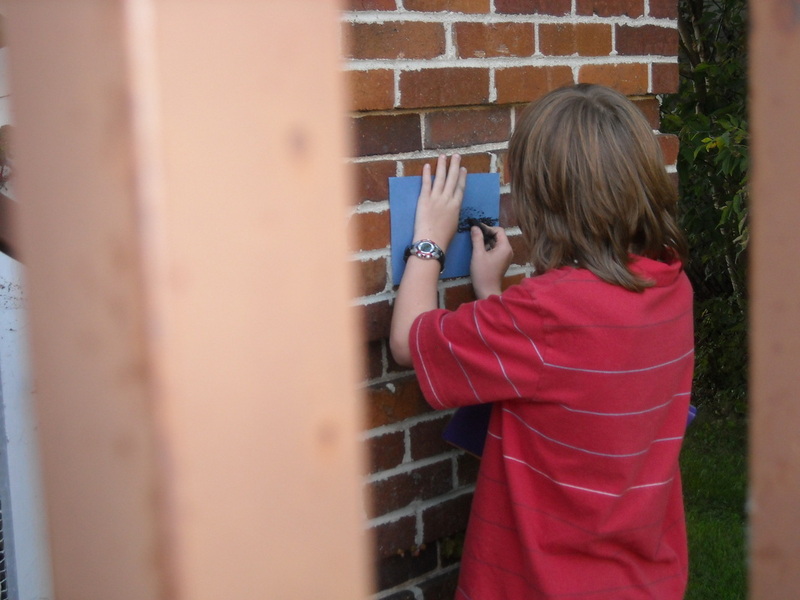 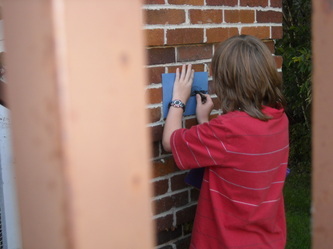 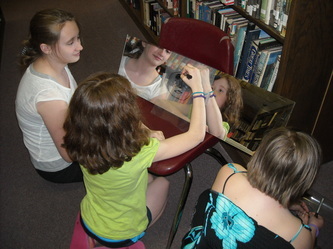 Students also learned how to identify the repetition of shape within a composition using hand-made "view-finders". The classic method of drawing, on paper with charcoal heightened with white was the process introduced to the students. 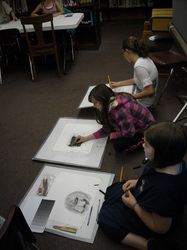 Students also used MS Publisher to create a grey scale chart that was used as a tool to complete the drawing. 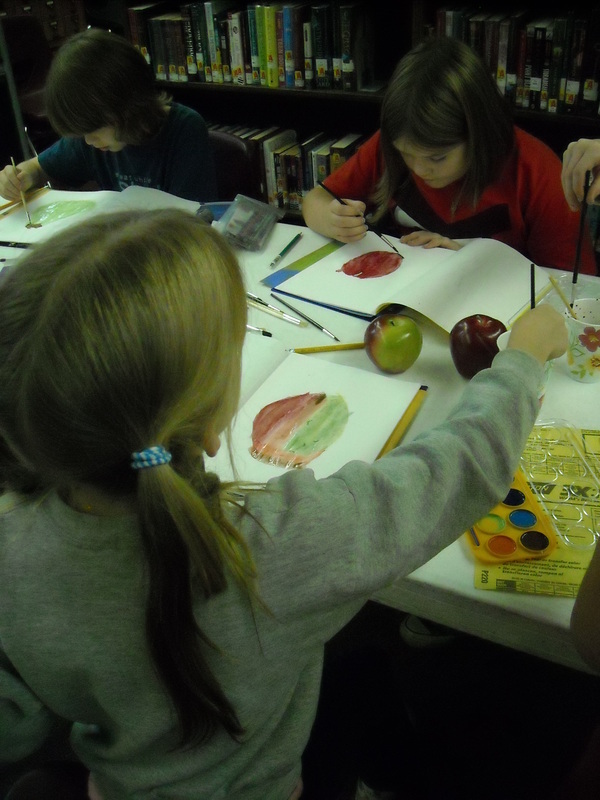 Students learned about Andy Warhol as a Pop artist by observing examples of Warhol’s work and discussing the use of repetition and color in his work. 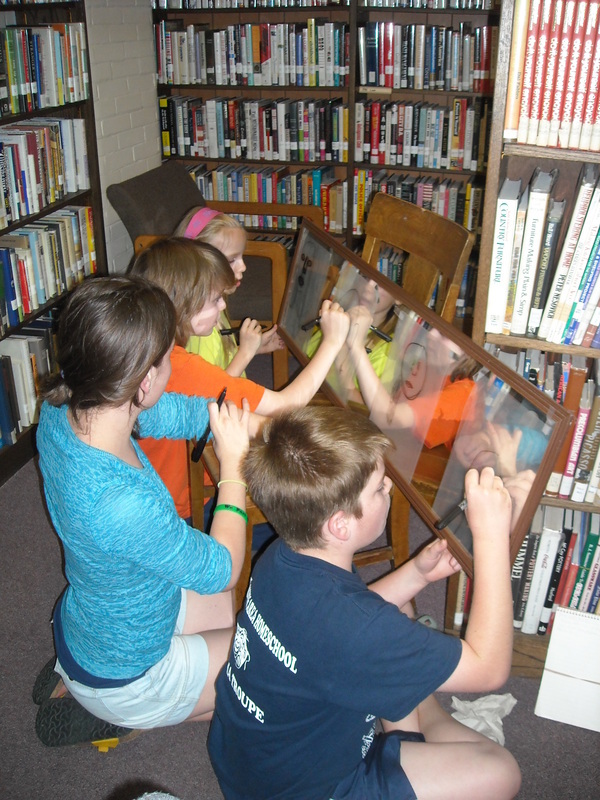 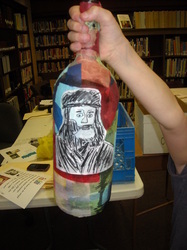 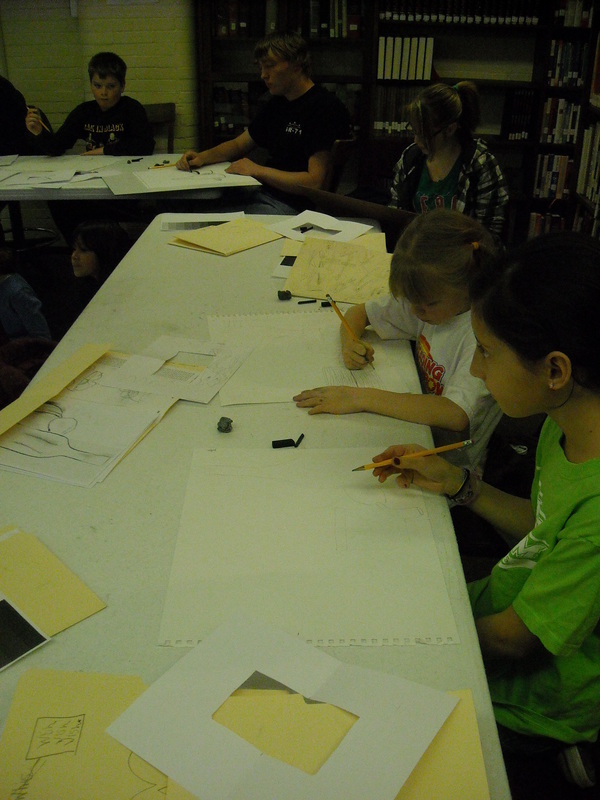 Students then completed a self-portrait with pencil and then traced over it with a sharpie marker. 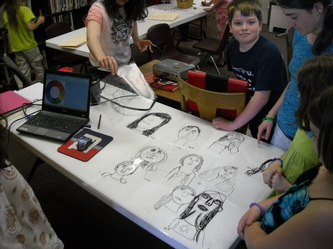 The portraits were then scanned into a computer. 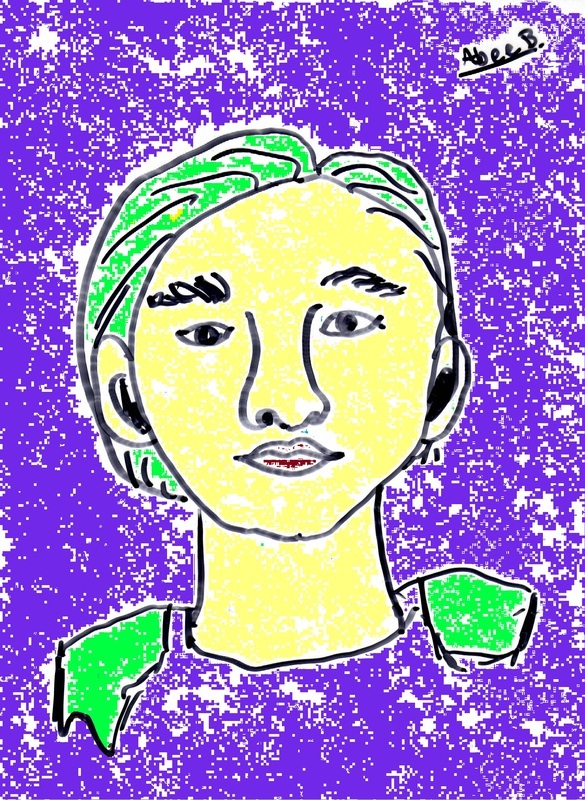 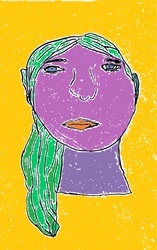 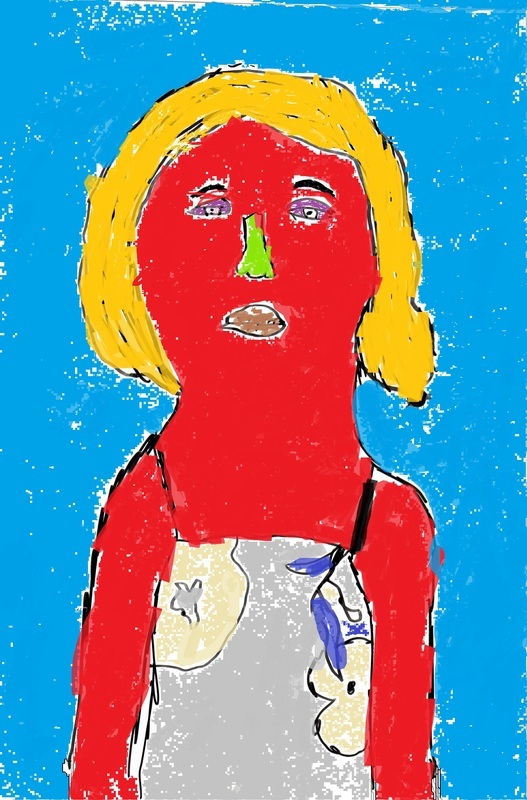 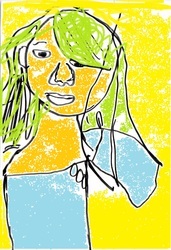 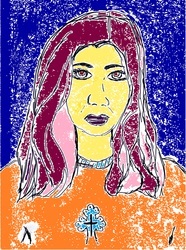 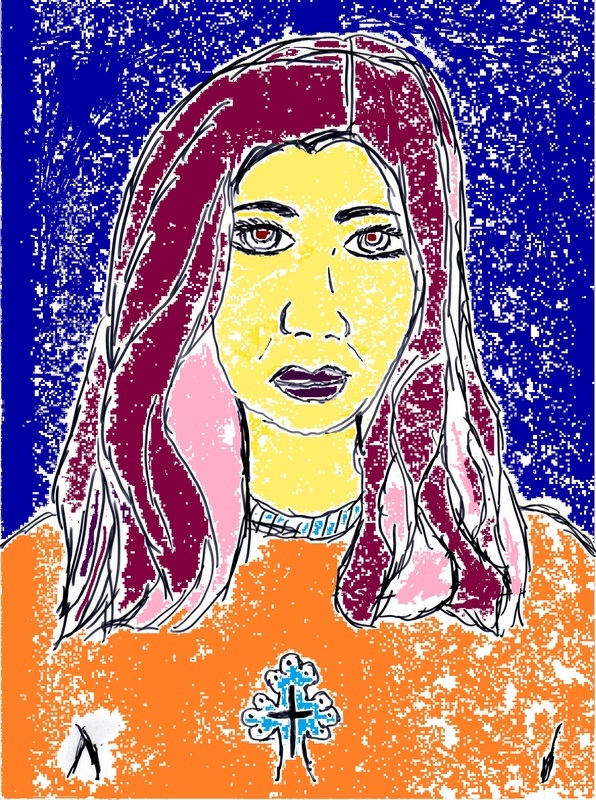 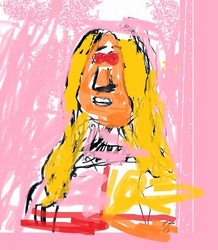 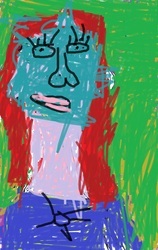 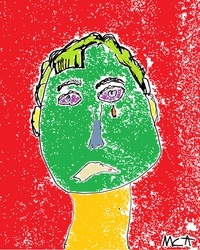 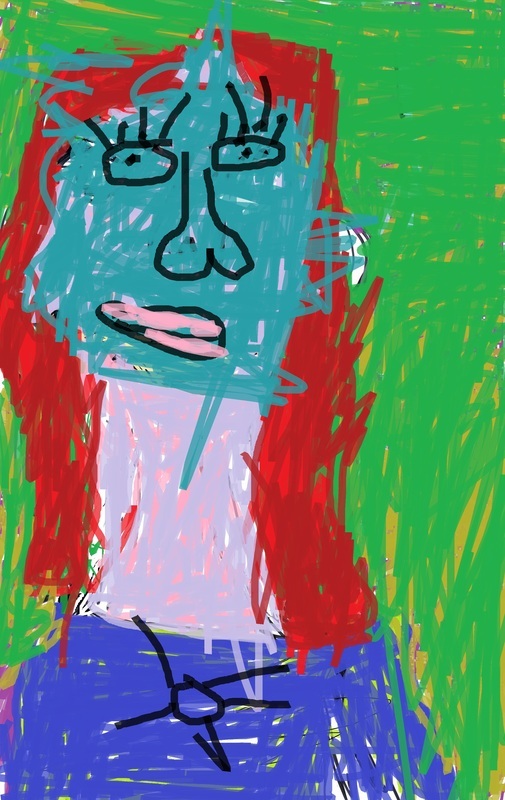 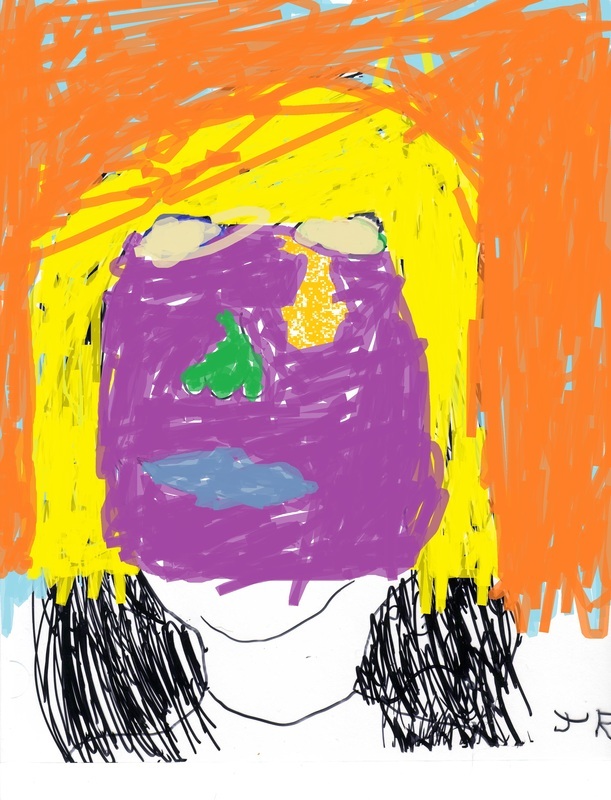 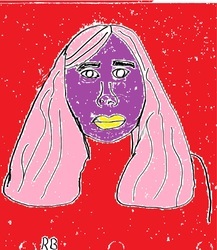 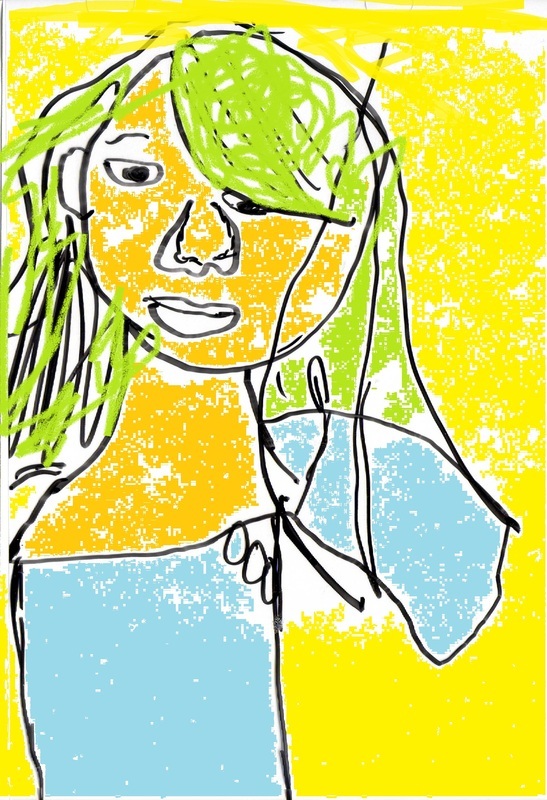 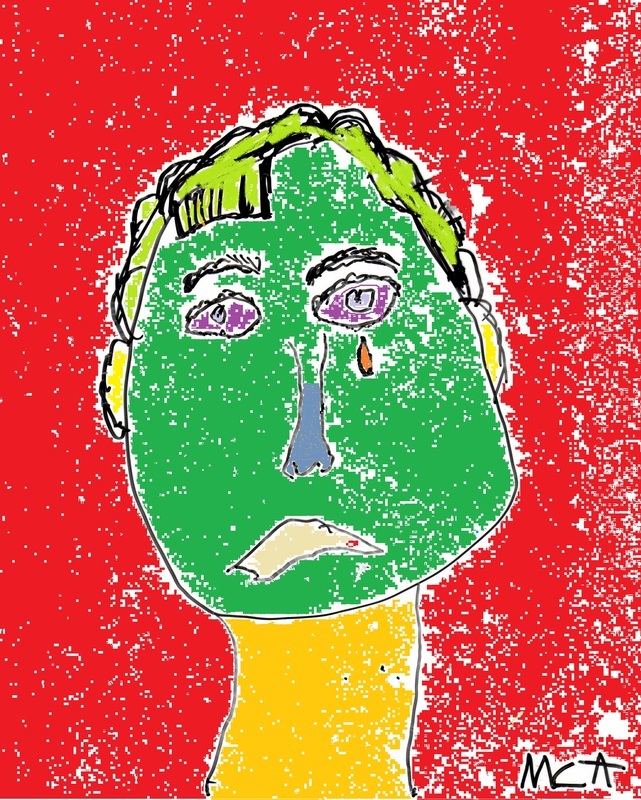 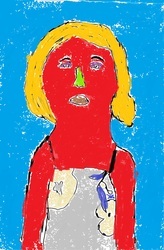 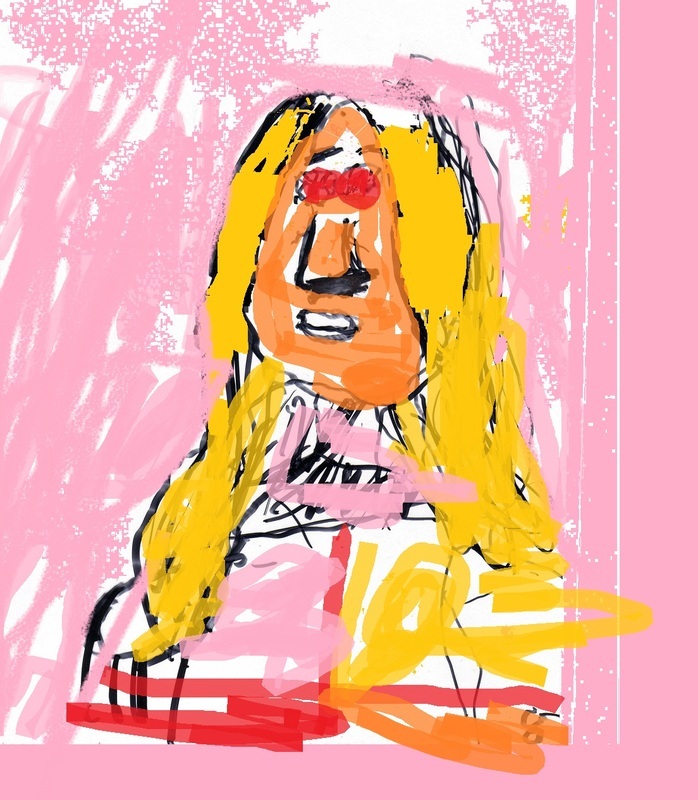 Using Microsoft Paint, students manipulated 4 of the self-portraits using computer software to change colors and saturation. 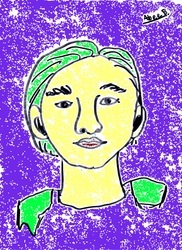 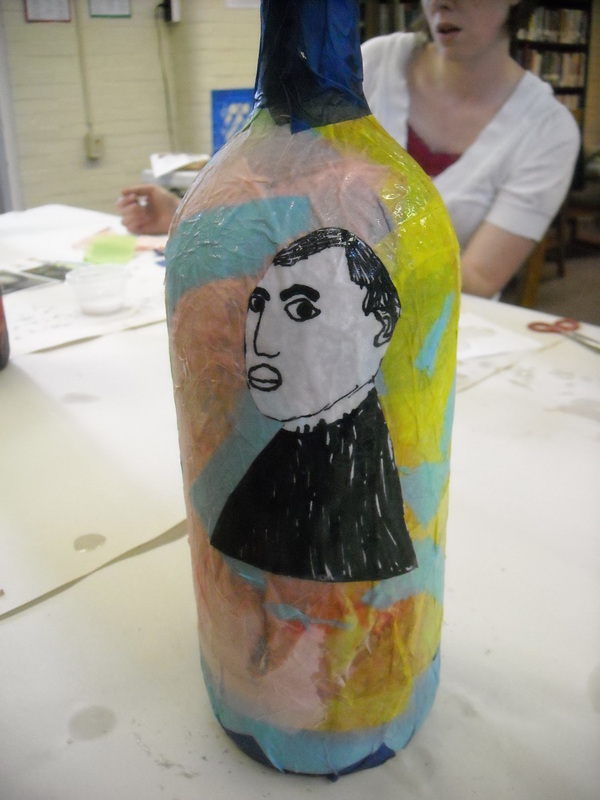 The portraits were printed and assembled into a final product in the likeness of a Warhol portrait. 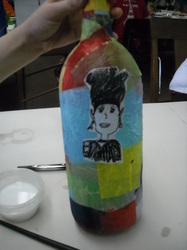 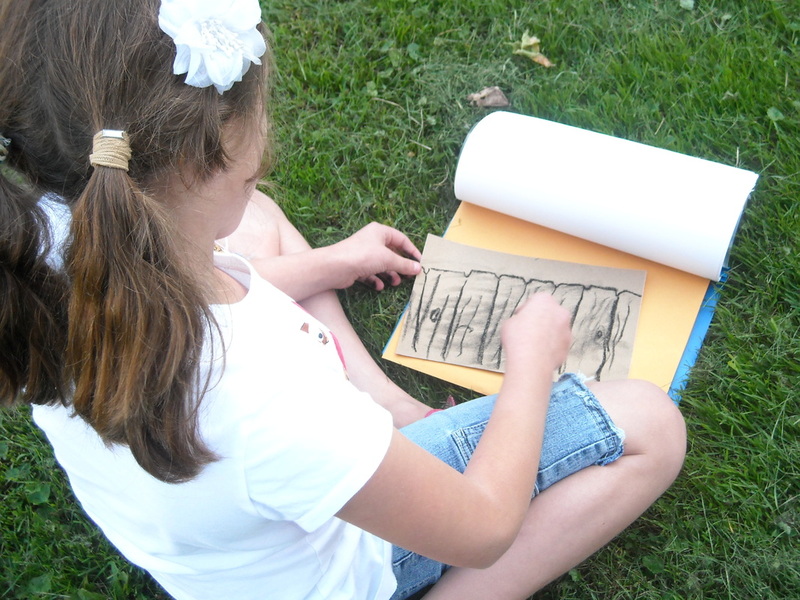 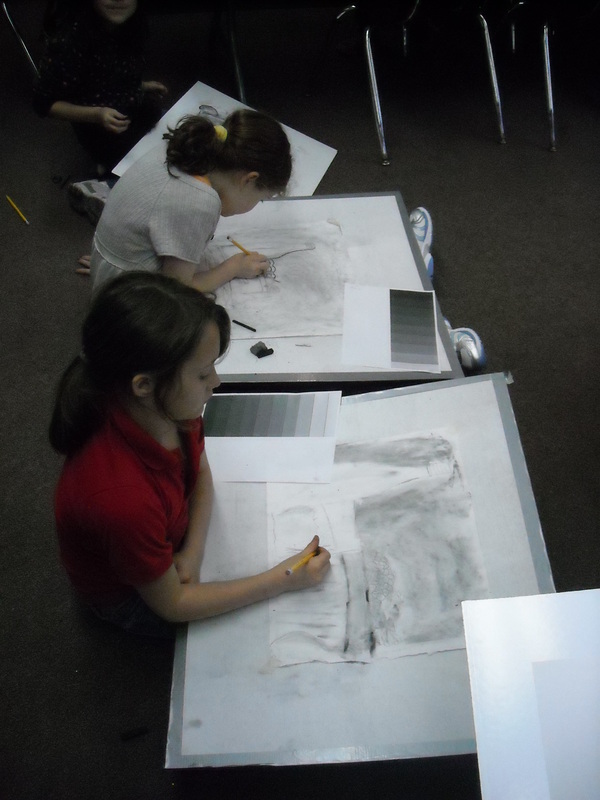 Students were given a variety of papers with different textures to explore with charcoal. 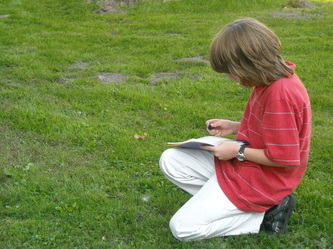 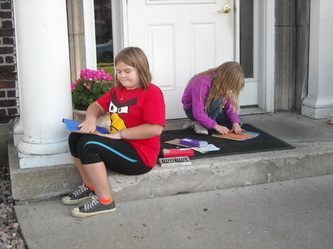 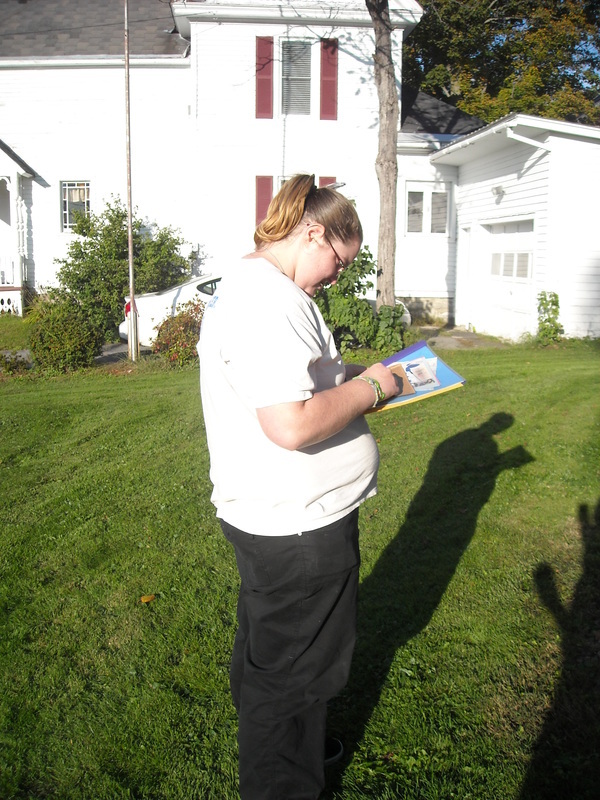 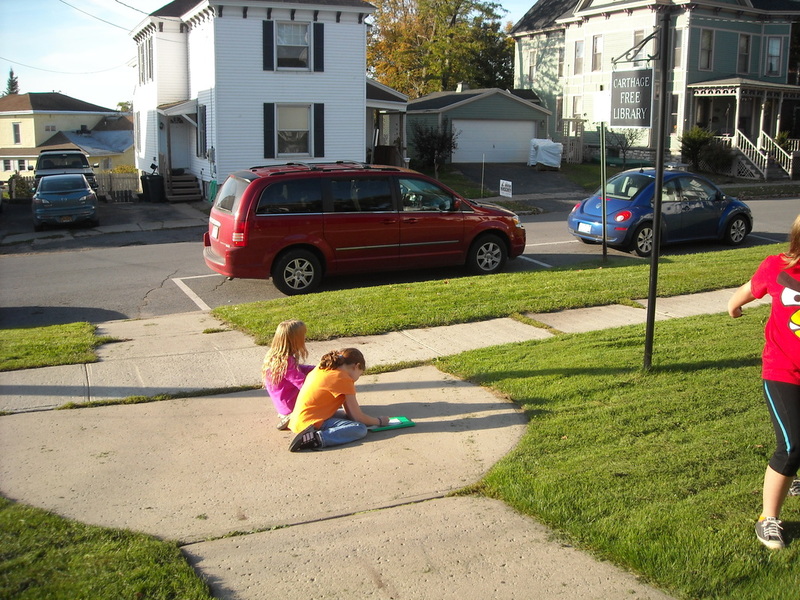 The class assignment was to head outside and make "mini" drawings on every piece of paper with the subject of the drawings being found objects from nature, and other objects in the environment. Students selected fruit to lightly sketch. 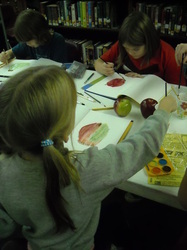 To create a realistic rendition of the fruit, each student had to investigate closely to capture all of the colors. 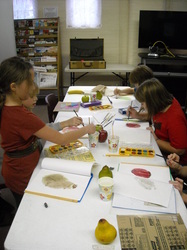 Prior to painting, the class viewed a live demonstration on using watercolor paints. 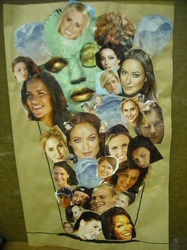 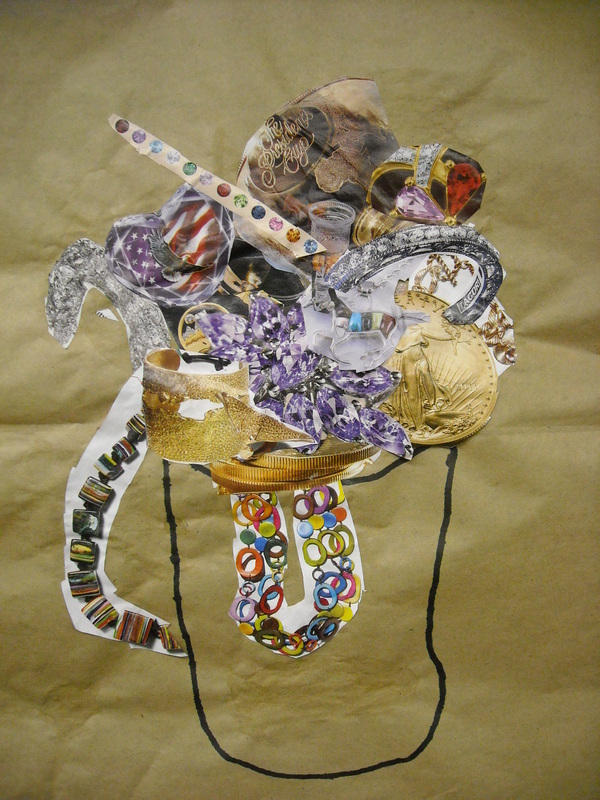 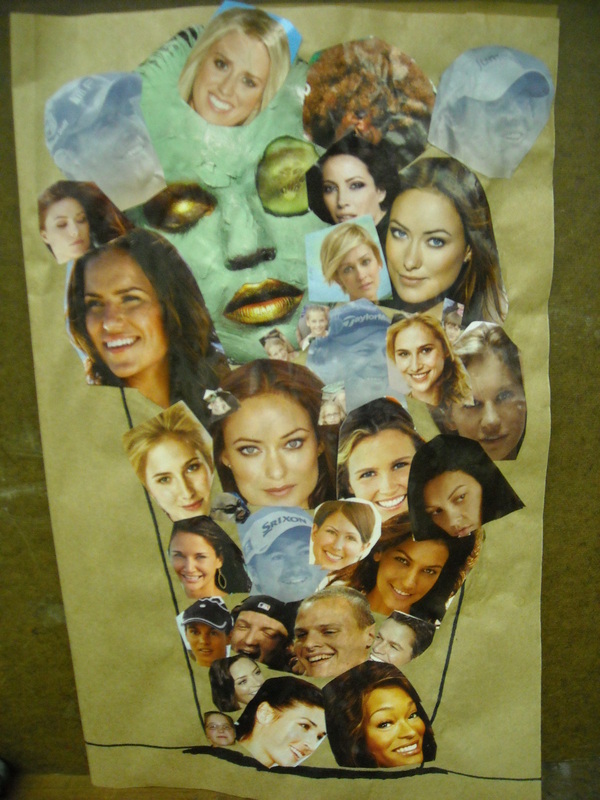 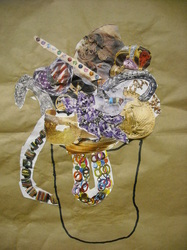 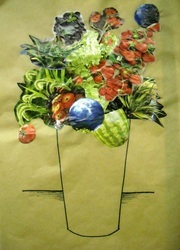 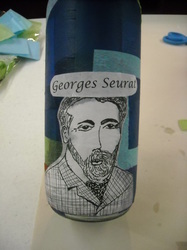 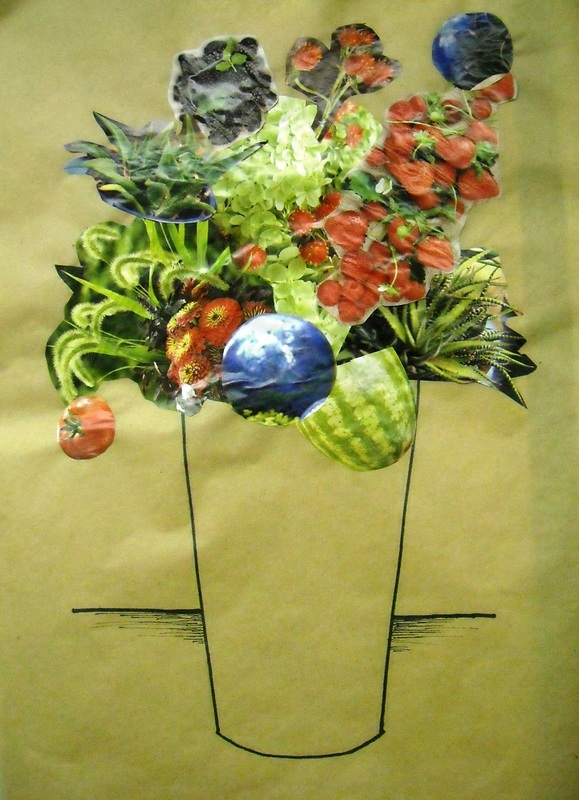 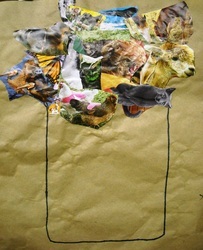 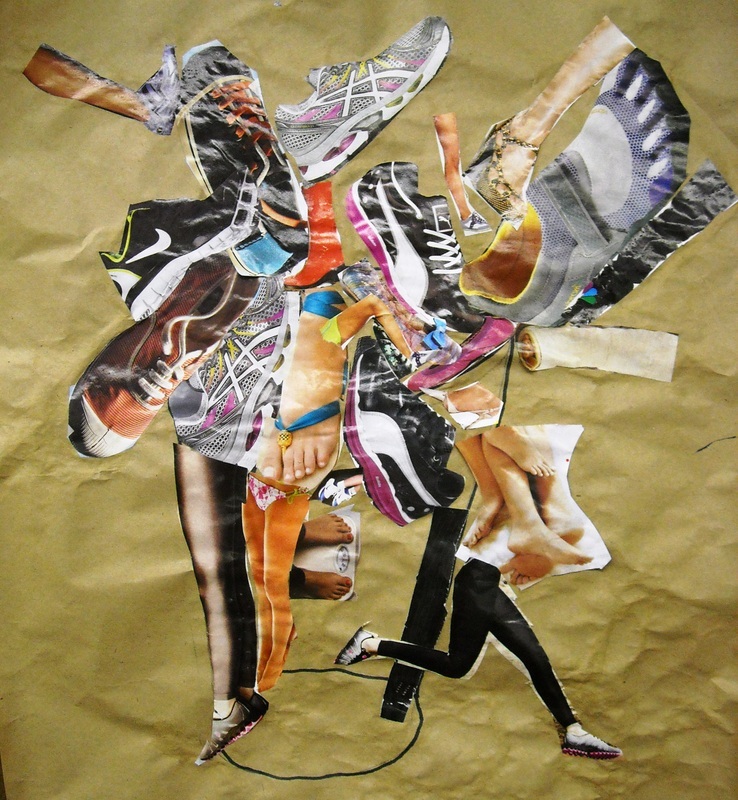 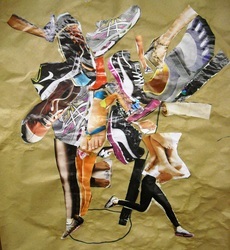 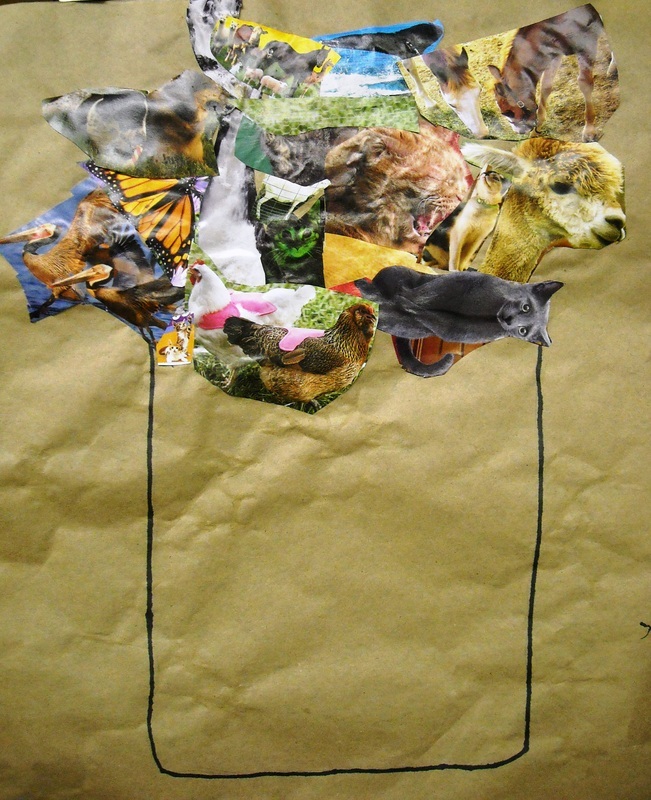 This project was inspired by Hannah Hoch's "Bouquet of Eyes". The class was introduced to collage. 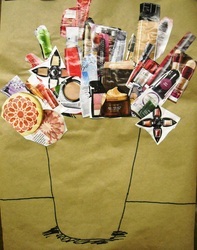 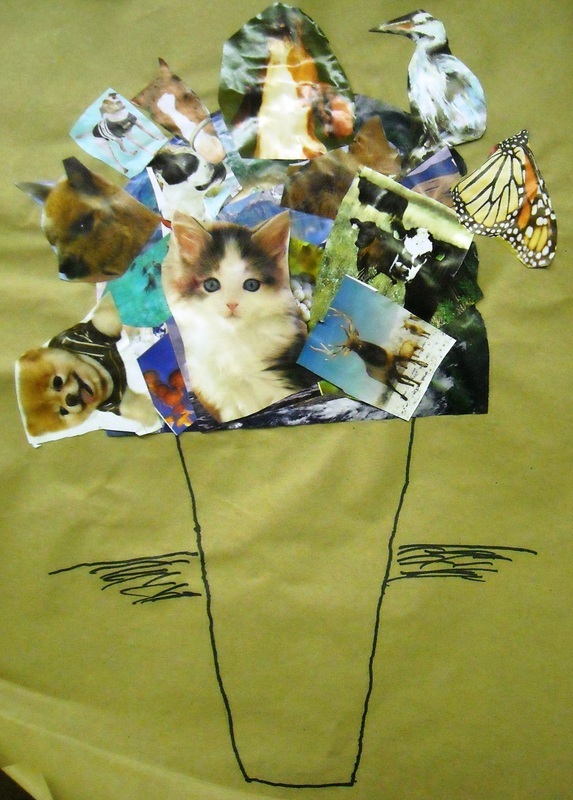 Each student was responsible for creating a "bouquet" using magazine cut-outs. 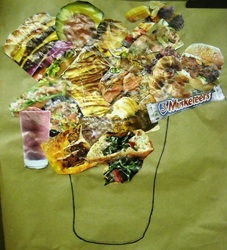 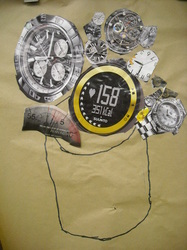 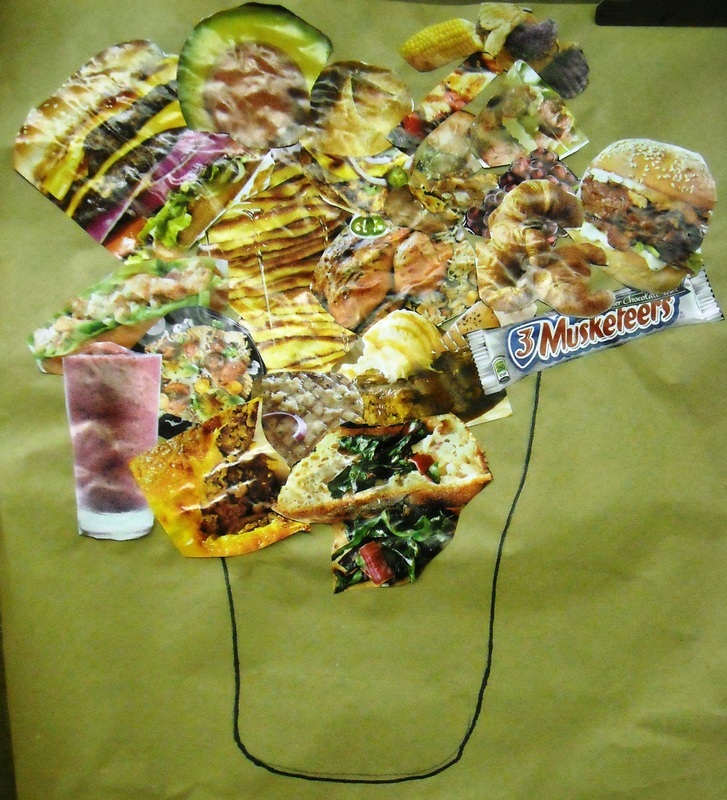 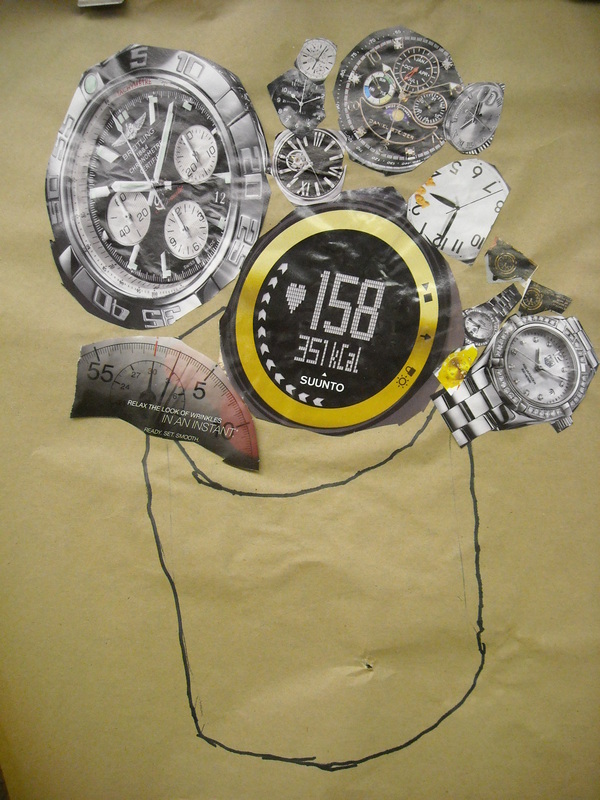 The assignment was to choose a topic or idea and cut out as many images from magazines that illustrate that idea. 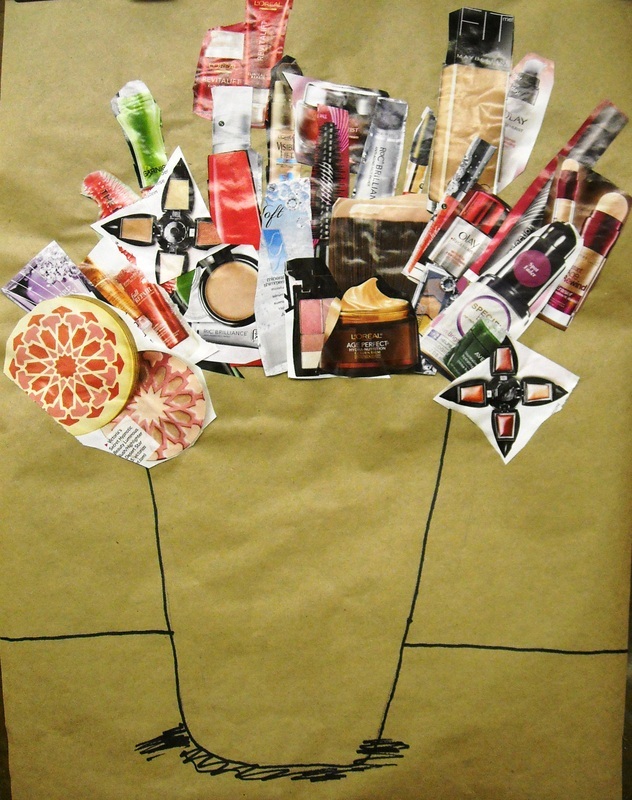 Prior to starting the project, the class learned about perspective and drawing 3- dimensional cylinder shapes to create the vase to their "bouquets".